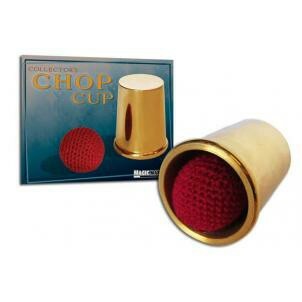 This Chop Cup is a very high polished heavy weight brass cup. Comes with magnetic and regular crochet balls & a giant crochet final load ball! The Chop Cup stands 2.25 inches (5.7cm) tall. The mouth of the cup is 1.6 inches (4.2cm) wide, and the base of the cup is 1.5 inches (3.8cm) wide.